We have Access Panels to suit every situation. Whether you need a standard Access Panel, or a specialised architectural panel. We supply Wallboard Tools' and Rondo's range of access pannels and manholes. 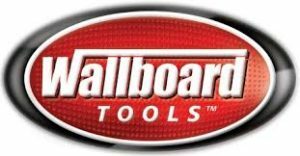 With an extensive range of products from Wallboard we hold a number of hand tool products in stock from hawks and joint knives to bolt cutters and tape measures. Our large range means you only have to stop at our shop for all your plastering and fitout needs. We've got all your sanding needs covered with our range of sandpaper, sanding sponges and sanding disks for all sizes and all grits. Complete any job with ease using the full range of TapePro tools making every job quick and simple. See the full range available at our Shop and check out more information on their website.